Thanks for visiting the Kids' EBook Bestsellers blog. As I do every year, I'm taking a break for a few weeks over the holidays. I'll be back on January 3rd, with the latest bestseller list and another compelling author interview. In the meantime, browse through the author list of interviews from the past four years. Over 180 bestselling authors for children and teens have shared their thoughts and experiences about their e-publishing success. I have some fantastic interviews lined up for 2015. For January, they are Ali Novak, Gretchen McNeal, Richard Farr, C.J. Redwine and C.L. Stone. February is already booked with Jackie Davies, P.M. Pevato, Erin Fletcher and Toby Neal. And Ginger Scott joins us the first week of March. Be sure to bookmark this page and visit often. Even better, sign up to receive an email notification each time a new interview is posted. (See "Follow by E-Mail" to the right.) You can also keep up with all the blog happenings by signing up for my newsletter. 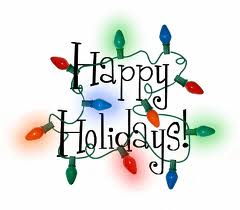 I hope your holidays are relaxing and fun, filled with the joys of the season. Brian Spangler's AN ORDER OF COFFEE AND TEARS is a Top Ten Hit With Kindle Teens. Brian Spangler joins us today to talk about his top ten e-pub success with An Order of Coffee and Tears. On September 20th it rose to the number 9 spot in the Teen section of the Amazon Kindle store. Time to pull out your synopsis skills! In a few sentences, tell us what your book is about. An Order of Coffee and Tears is about finding a family in the most unexpected of places. For Gabby, that place was a small Diner in the city of Philadelphia. And through the adoption of a new family, Gabby is able to come to terms with her past while helping others come to terms with their present. Tell us briefly about your path to publication: Traditional or independent? Currently, I'm considered an Indie Author. After a year of querying agents with my first two books, I decided to give the Indie route a try, joining Amazon's KDP Select Program. While I've stayed in the Amazon KDP Select program, I have new works which I'm sending out to Agents to go a traditional publishing route. The hybrid author is one who publishes as both Indie and Traditional… the best of both worlds. The biggest factor is reviews. 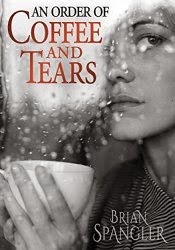 An Order of Coffee and Tears has been accepted very well and garnered enough good reviews to help readers make the decision to buy when browsing Amazon's huge list of books. I'm not an outwardly social person, I doubt most writers are. But with the advent of social media, for a writer to reach readers, they have adopt and use social media. For me, that means Facebook and on occasion Twitter. I also manage an active subscriber list for readers interested in hearing from me on occasion. My website, writtenbybrian.com, is designed around leading visitors to signing up newsletter subscribers. No spam, just a few words about what is coming up. Sometimes I throw in a free short story too. After publishing science fiction for the last year, I'm moving back to literary and women's fiction with a new book, which I'm hopeful will be out early next year. Learn more about Brian and his books by visiting his website, or by following him on Facebook or Twitter.